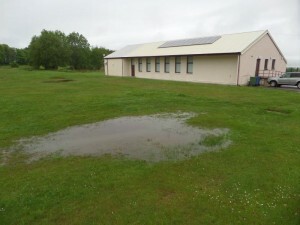 Kirkhill Community Centre is now in the process of applying for grants to raise funds to begin refurbishing the sports pitch at the Community Centre. The aim is to make the pitch playable for all ages in the community and to work in partnership with Inverness City Football Club (Junior Scottish League) to give them permanent home base. If we can raise the funds work would start as soon as possible. You can help by supporting the 100+ club. With an annual subscription of only £12.00, and monthly prizes, it’s a great way to show your support. Please contact Cris Ford to join or for more information. You can keep in touch with other fundraising events and news about the project on the project’s facebook page.